Sumptuous sea edge suites, champagne and caviar on the beach, the flavors of Puglia's maritime cuisine: 5 star luxury at San Domenico a Mare. 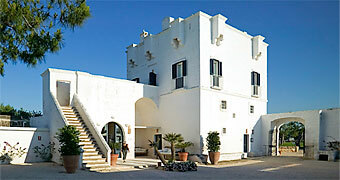 Sea, countryside, beaches, olive groves and wellness, all this and more at Puglia's Masseria Torre Maizza. 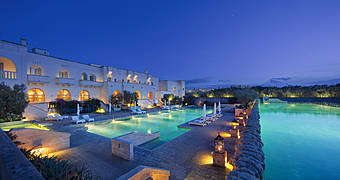 Luxurious accommodation, a state of the art spa, excellent cuisine, a splendid beach, and a prestigious golf club make Borgo Egnazia one of Puglia's most exclusive hotel. Tourists come to Alberobello from all over the world to see its unique urban landscape. The town has become famous internationally because of its "Trulli", cone shaped houses constructed in stone blocks known as chiancole. Alberobello is sited on two hills, divided by a river. 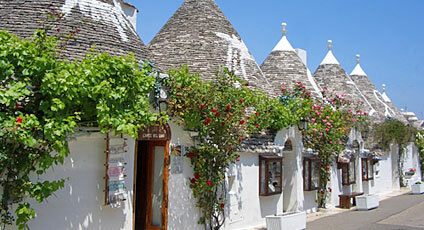 The Western hill is the oldest part of the town and here the largest number of Trulli can be found. The old town is divided into two districts, Aia piccola and Monti, which are of national importance and have been granted special status by U.N.E.S.C.O. Profuse greenery, olive and almond trees cover the hillsides. Craft industry is particularly important, with all types of traditional products being made. Not to be missed: the itinerant market, held every Thursday morning and the Saturday afternoon market, held in the Coreggia district. On Wednesday and Saturday evenings the town's butchers organise the Fornello pronto, a delicious barbecue. The celebrations for the Patron Saints Medici Cosma and Damiano are well worth attending. In an ancient oil press, traditional regional cuisine and faultless service. 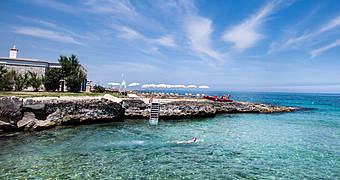 A stunning 18 hole course with view of the Adriatic from each and every tee, fairway, and green. 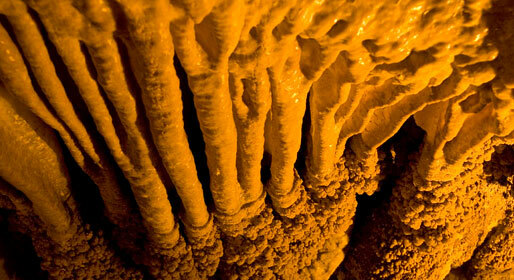 An exclusive spa where to experience the rejuvenating properties of sea water and algae. 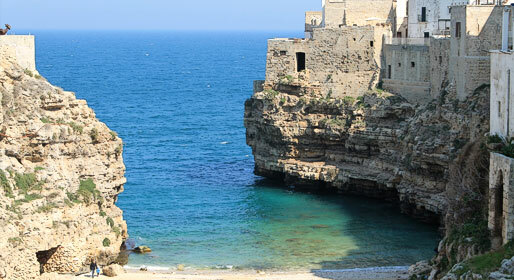 The conservation and restoration of the ancient settlements situated in the territory of Fasano.